Refurbishment of various A Plant trade counters and workshops nationwide including upgrading workshop space, offices, yards and signage. Refurbishment of operational trade counters and workshop areas to update facilities and provide flexible workspace solutions for the hiring and maintenance of plant. 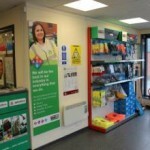 We also undertook fit our to new units to give market presence where time to opening was critical. We utilised a specialist in house team to undertake the works and roll between sites, thus giving consistent project management to our client. 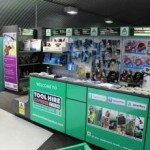 The works involved upgrading workshop facilities in terms of lighting, installing specialist test benches, new staff facilities and front of house trade counters and office facilities The nature of the works was utilising standard specifications and this enabled us to deliver the projects efficiently in terms of programme, cost and quality by driving economies into our supply chain. ID Interiors utlised their roll out experience to target our clients main drivers namely speed to completion and minimal business disruption to ensure the projects were delivered successfully. ID Interiors are a valued member of our supply chain and consistently deliver projects to our corporate standards.